﻿ Ruslink Group | Our business is cargo transportation. Our aim - to provide highest quality servise. Our business is cargo transportation. Our aim — to provide highest quality servise. from Turkey all over the World. LOGISTICS. Fast and safe around the world! — Many years of experience in the field of logistics and customs clearance guarantee highly professional services. Over the years we have enlarged our service list and increased professional level of our employees, which lets our clients trust us through the whole process starting with factory order placement and up to discharge at the destination point. — Expedited clearance and fast shipment – we offer fast logistics solutions using the most effective transit route between the countries, and considerably reducing shipping time, therefore assisting our clients in becoming market leaders. • all the necessary certification of the transferred goods. offers wide range of express delivery services (documents, post, cargo) all around the world. Besides the basic express delivery offer RUSLINK EXPRESS also provides specific individual solutions for your business. Customs clearance is a multifaceted task that can be realized in several ways. Our goal is to offer you the most effective way of cargo clearance and shipment around the world. As customs brokers we provide timely and unhampered crossing of customs borders in Russia, CIS countries, China, Iran and all European countries for all kinds of goods (construction and maintenance materials, cosmetics, food products, consumer goods, etc.). 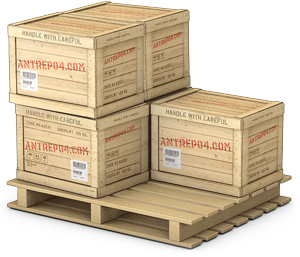 • We divide shipment charges proportionally among all the recipients, which is highly cost effective. • We plan the workflow; partial delivery is organized at certain intervals, which lets you always be the first in the market. • We help you raise small business (small trade companies benefit from partial goods shipment comparing to loading a whole truck). • Due to small amounts of goods stored we help minimize your warehouse expenses. Regardless of the amount of product items we provide expedited customs clearance and entry documents. We adjust our work to reduce time of shipment even during the periods of seasonal peaks. Our fundamental approach is comprehensive organization of your cargo shipment from loading point to the point of delivery in the most cost and time effective way. Our managers coordinate partial and outsize cargo clearance according to professional conduct and liability to clients. Our experience provides us with the most effective solutions for both importers and exporters of nonstandard goods.